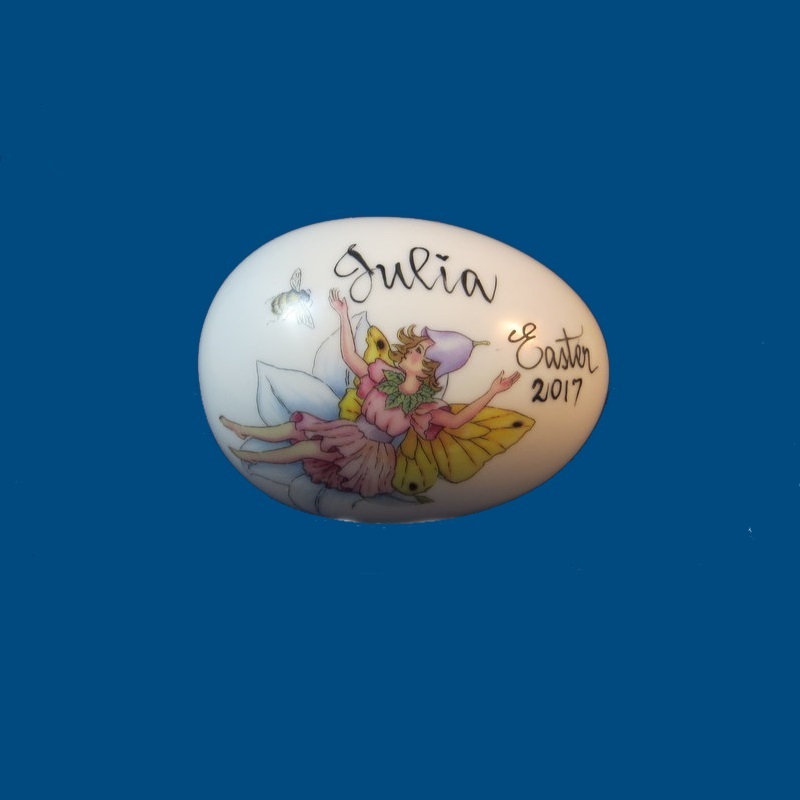 Our fabulous white porcelain hand painted and decorated solid Easter eggs can be personalized with your choice of design, a name, Easter 2019, and a short personal message. For example, "Love From, Mom-Mom and Pop-Pop. What a wonderful unique holiday gift for a child's Easter basket! Collect one every year! A gift box with tulle ribbon and enclosure card is complimentary with your purchase. Dimensions: 2 3/4" x 2"